Gregerson calls Alabama home but has always (or at least in the week-long happy hour love-ins that we had last December) had inklings to move abroad. Given that he owns several location independent companies and has now been to Costa Rica multiple times, la pura vida seems like a natural and plausible choice. 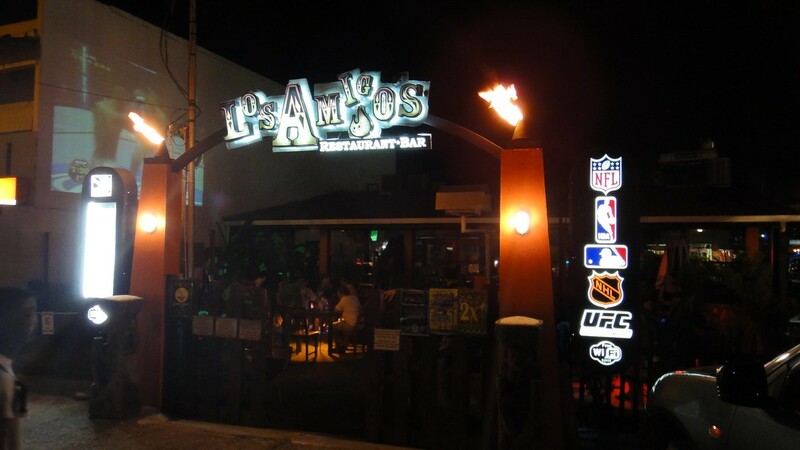 As we were reminiscing over pints and bikini football at the now infamous Amigos the other night he was asking me what went into my decision to leave this beautiful country. To him – and to others who live in the first world – it seems weird that I would leave. I have a good job, I live at the beach and I’m happy and enjoy my life. To a guy that has aspirations of moving here himself, I can see where my leaving might be perplexing. Then the discussion turned to the “Latin American Wall” – that ambiguous point in time where people discover that they just can’t deal with some aspects of living in the third world. Costa Rica, while admittedly much more developed and enabled than many of its cousins in the region, is still a third world country. There are many points of everyday life that can be extremely frustrating. As the discussion followed the path of these points of annoyance I realized – as Gregerson was surprised that any existed at all – that I have adapted much more than I thought I had. Not that I’m unaware of these things; just that I’ve accepted that they will happen – and often. As Corey (who needs no introduction) and I had great fun running through the list of day-to-day tasks that are made difficult in Latin America, but would be nothing more than an afterthought in North America, it made me think of how much I don’t think about them anymore. At the same time, I realized how hitting that “Latin American Wall” can come so easily for others. Saldo. 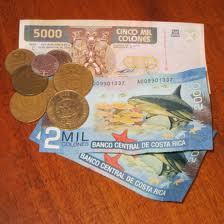 For those unfamiliar with life in Costa Rica, “Saldo” is the term for money you put on your pre-paid cell phone. Sounds easy enough; it’s not. I once spent 8 consecutive days trying to put money on my phone. Very rarely can I go to one of the very colorful and cute cubicles of the local telecommunications provider and not hear my new favorite phrase “no hay sistema.” Sigh. Banks. This actually makes me mad just thinking about it. Forget fancy banking like transfers between accounts or, god forbid, international transfers. I just want to make some deposits into my own accounts or get a new debit card. If you didn’t bring 17 documents and your grandmother with you, good luck. Change. I think this one is my favorite. Give a taxi driver the equivalent of $20 for a fare of $15 or less and he’ll look at you like you tried to pay with bananas. Likewise if you go to a small restaurant you better have brought exact change with you or plan to leave a generous tip. Having change on hand (despite it actually being their job – specifically in the case of taxi drivers – but let’s not go there) just doesn’t happen. You’d better count your coins exactly before leaving the house. The irony to the change situation? The only places that you can always get change are on public buses and at la feria (meaning farmer’s market in English). You can pay a bus fare of 40 cents with $10 or buy a head of lettuce for 20 cents with $20, and they will get you your change without issue. Both funny and perplexing at the same time. This list could go on and on. The point is – and I may do another post dedicated to things just like these that cause us first worlders to scratch our head – that these are all normal to me now. I know that when I venture out to the store to get saldo that there’s an excellent chance I won’t get it. I know that I might as well not bother going to the bank. And I also know that I need to get out of the taxi two blocks before my destination because if I go any further the fare will be too high and I’ll get an earful in Pachuco about how I need to have exact change. It’s refreshing to have conversations with people who are removed from your normal environment. In this way, you can clearly see what you’ve adopted as normal. In all my thoughts about moving home, these types of things had somehow escaped me. The dirty little secret? I kind of like them. They are frustrating but endearing at the same time; it’s part of the culture. It’s that laid back, not in a rush attitude that I love to hate and equally hate that I love. When I’m back in Toronto I know I will habitually saunter into meetings twenty-five minutes late. And when a taxista gives me exact change for a high denomination, I won’t be able to keep a sly smirk off my face. I appreciate the reminder, Gregerson.